What are the best restaurants for Valentine's Day in Austin TX? Home » Community » What are the best restaurants for Valentine’s Day in Austin TX? What are the best restaurants for Valentine’s Day in Austin TX? Just like every year, Valentine’s Day is approaching faster than a five-year-old can polish off a bag of candy hearts. That means it’s time to show that special someone in your life how you feel about them. 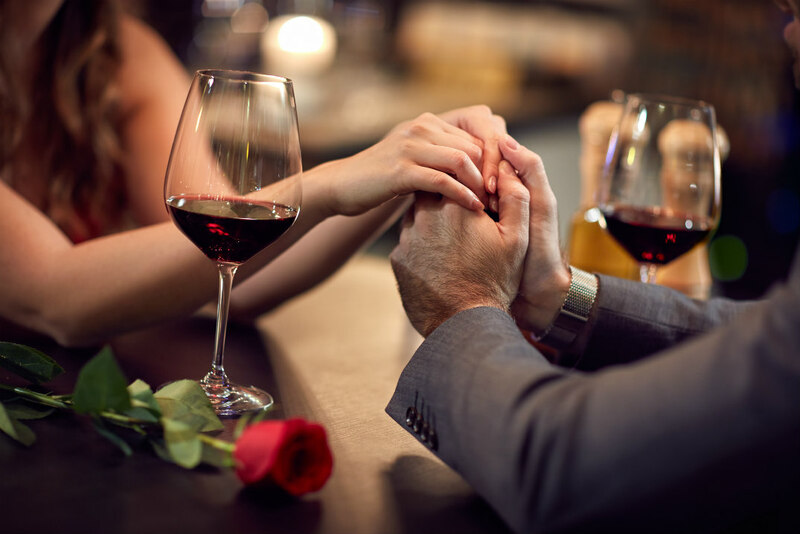 If you’re wondering where to go in Austin to have a sure-fire Valentine’s Day success, look no further than this handy list of the top five romantic restaurants in town. If you’re looking for a hearty dose of classy European fare in a lovely setting, look no farther than Fabi + Rosi. Located in a renovated bungalow in West Austin, Fabi + Rosi boasts a quiet, intimate atmosphere, delicious food, and solid prices. They have an excellent wine selection, and happy hour lasts until 6:30. It’s the perfect spot to get a worldly dose of culture with your loved one. We recommend the escargot or the schnitzel. What impresses us most about Lenoir is the creativity they bring to the dining experience. There are four courses offered: Field, Land, Sea, and Dream. Each course has three options, and the cuisine is infused with Mediterranean and Indian accents. We recommend the snapper and the Egg Tomal Salad. The vintage-chic décor effortlessly imparts a feeling of romance. For bonus love-points, have a drink in the wine garden before you go in. If you want delicious Italian food at a great price, Andiamo Ristorante is your place. After all, what’s more traditionally romantic than a meal at an Italian restaurant? Andiamo covers the bases with excellent pasta, salads, fish and meat dishes. Everything is made in-house, including the bread and deserts. It’s delicious, relaxed, and authentic, giving a family-owned vibe in a neighborhood setting. We recommend the homemade ravioli, and of course the excellent wine selection. If you’d really like to impress your date, or if you’re just the type who relishes luxury, the upscale steakhouse Jeffrey’s should be at the top of your list. It’s pricey, but you get what you pay for with the outstanding food. Some call it the best steak in Texas, and the atmosphere is definitively swanky. An effortlessly hip establishment, Wink boasts locally driven cuisine and a fantastic chef’s tasting menu. The farm-to-table food is a nice wedding of tradition and forward-thinking creativity. The on-going favorite for romantic dining can be a challenge to find (hint: it’s located behind “Whole Earth Provision Co.” over on N Lamar Blvd), but tracking down this hidden gem is worth it. What are the best Easter 2019 events in Austin TX? Where can I find used SUVs in the Austin TX area? This entry was posted on Monday, February 4th, 2019 at 7:56 pm	and is filed under Community. You can follow any responses to this entry through the RSS 2.0 feed. You can skip to the end and leave a response. Pinging is currently not allowed. Is a vehicle with a salvage title insurable in Austin TX? How reliable are vehicle history reports? How many Americans own more than one car?